Charming home in a neighborhood minutes from shopping, movie theaters, great restaurants, and all that encompasses living so close to downtown Asheville. 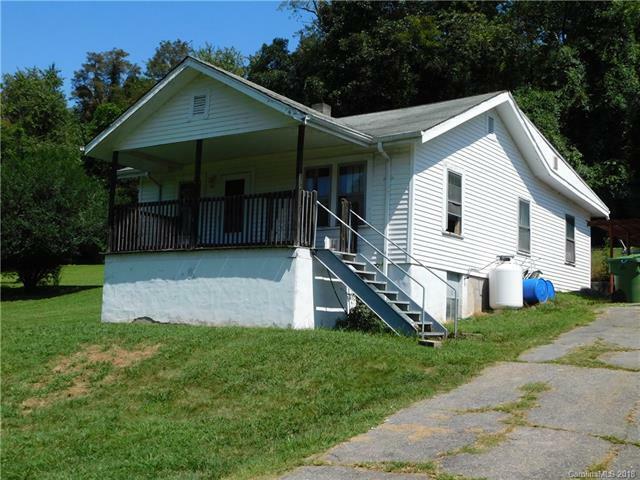 This home is in need of some updating and TLC; however, once you add your personal touches you will have a great starter home or investment property. Hardwoods throughout with vinyl overlay in kitchen and bathroom. Small fenced in area in the back with entrance to the house through a Mud Room / Laundry Room with Washer/Dryer hook-up. Extra room off kitchen can serve as a 3rd bedroom, Office or Dining Area. Detached Garage/Carport would serve well as extra storage space for your kayaks, bicycles and camping gear or as studio/workshop space! Home sits back on this beautiful, large, potentially sub-dividable lot that slopes gently down to Glendale Ave. Schedule your showing today!